Who didn’t enjoy those bedtime stories that made the animal kingdom one of the most sought out places in the world? 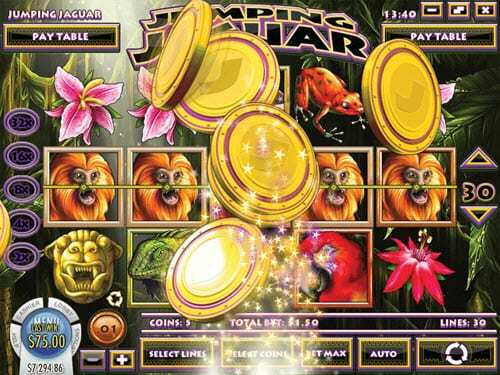 The Jumping Jaguar Slot Game did not only make those stories come to fusion but also provided rooms for players to grab a lot of luxurious items from its reels. The thrill of hunting down preys is offered at in this 5 reels 30 pay line slot game. You would get to enjoy the adventure attached to catching preys and collecting the luxury attached to their lives. You would have to be fierce as the Jaguar if you want to accumulate a huge amount of funds from the reels thereby making it important for you to try out the demo version of the slot game before proceeding to real play. A lot of other animals holding numerous mouth-watering features can be found in the reels of the slot game. The most dedicated symbol is the wide cat which offers players lots of free spins and special bonus rounds. Unlike most slot games, the Jumping Jaguar Slot would offer you bright eye-catching colours that would enable you to pilot your quest for riches without having to visit the reels of any other slot game. The game also offers lots of exciting music to keep you entertained throughout gameplay. There are a lot of bugs and animals symbols that would keep you gaming at the reels for a good deal of time, some of the symbols that can be found in the reels are ants, snakes, sloths, frogs, lizards, parrots and the wild black jaguar. Players can grab a jackpot worth 2500x the amount staked from the Hunt super spin which displays the highest paying icons. Jumping Jaguar; if you are able to get 5 parrots to land on the reels at any time during gameplay, you would get to enjoy 2000x the amount staked. The symbol also handsomely rewards players who are able to hunt down 3 or 4 parrots while on their quest for riches. Wild Jaguar: from the name of the slot game, you wouldn’t need anyone to tell you that the jaguar would be the wild symbol. If you are lucky enough to trigger up to 3, 4 or 5 jaguar symbols, you would get to enjoy about 5, 10 and 15 free spins respectively. 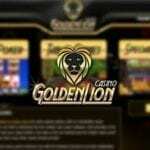 Any win gotten from the free spins will be multiplied by 3. Note that the jaguar symbol can also act as an expanding wild depending on its appearance on the reels. If it comes as an expanding wild, it has the ability to double the amount won by two. Hunt super round: these rounds offers numerous bonuses. The round can be triggered by three or more silver jaguars. Lots of high paying symbols are dropped down during this bonus round. If you trigger up to 5 jaguar symbols during this round, you would get to enjoy 2500x the amount staked. 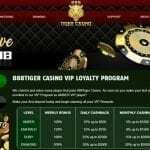 The slot game has an RTP of 94.58% with a minimum staking range of 0.01 and a maximum of 0.25. You can configure the game to offer up to 30 pay lines. Players can grab up to $5000 jackpot from normal play while if lucky enough to trigger free spins you can get up to $15,000 jackpot. 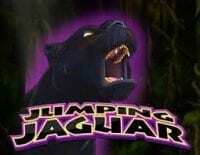 Gracing the reels of 888Tiger Casino to play Jumping Jaguar slot game would offer you 88 free spins.